Westpoint Regatta is an annual yacht racing event run by the Sequoia Yacht Club, The Club at Westpoint and Treasure Island Yacht Club. The race is the fastest growing race in the San Francisco Bay because it is fun, fast, and because it starts and ends with great parties. It is part of the YRA Weekend Regatta Series. Registration is now open. Sign up on Jibeset. The event kicks off with a party at Treasure Island Yacht Club the night before the race. Then Westpoint Regatta racers join the Weekend Regatta Fleet to race around Alcatraz and rocket downwind with the flood tide to Redwood City, where you will overnight at Westpoint Harbor and The Port of Redwood City Marina. 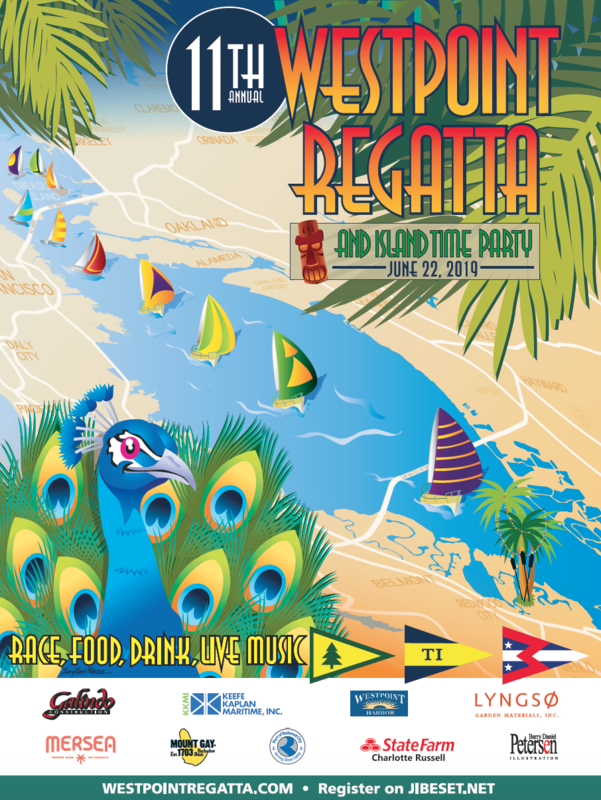 ​Sequoia Yacht Club will be your host at the Island Time Party in the “tropical” region of San Francisco Bay. On Sunday, racers will enjoy a breakfast at Sequoia Yacht Club before catching the ebb current back to the north bay. Read the epic story of the 2018 race from Tim Henry at Latitude 38. Photos of the 2018 race here.